So when I was going through my honey's photos. 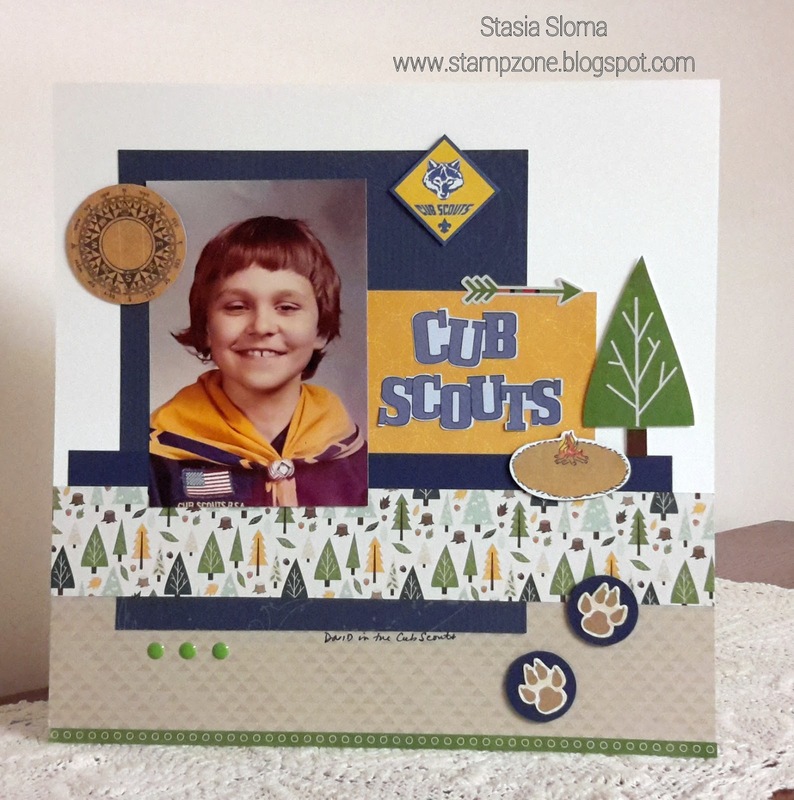 I found this cutie of him in the Cub Scouts. I love this picture of him. I have been wanting to scrapbook it since I found the picture. I even purchased products just so I could make this page as great as it should be. I got a die cuts from K & Company. Some of the die cuts and paper come from the Echo Park Happy Camper kit. Some of the other designer series paper comes from the retired Travel Journal designer series paper.